How to hide and unhide a Facebook Post: Looking for an article that explains how to hide and unhide a Facebook post-in-depth? If your answer is yes or something related to that, this post got you covered. Owing to the high level of Facebook configuration, you can hover about it to hide and unhide a post from your timeline or page so that other users will not see it. See: How do you Delete or Hide Facebook Post? Before you'll proceed with the procedure for hiding and unhiding a post on Facebook, let me put it to you that hiding a post from a timeline is different than deleting a Facebook post. Deleting a Facebook post, permanently remove it and it does not give an option its recovery. In another word, once a post is deleted it gone forever. An advantage of hiding a Facebook post is that whenever you wish you can go back and recover it. 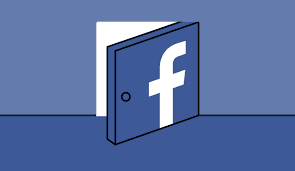 That is to say that you can unhide a hidden Facebook post at your convenience. See: How do I delete photo without deleting post on Facebook? 3. Click the icon at the top-right corner of the post and a menu will appear. That is how to hide and unhide a Facebook Post.